Getting outside brings out the best of what’s inside you. When I’m surrounded by nothing but mountains, trees, and sky, I can’t help but feel like I’m more a part of the Earth. When I hike, I hike to be outside, to be captivated by nature, to experience the natural rhythm of life, to learn how to be more in rhythm with this rhythm, and to learn how to listen to the silence and sounds that are already there without me. This wonderful mass of the universe that we live on is already moving, breathing, living, and functioning on its own, without us. To be able to experience that buzz of life without interruption and to really feel like a part of it all. That is why I go hiking. 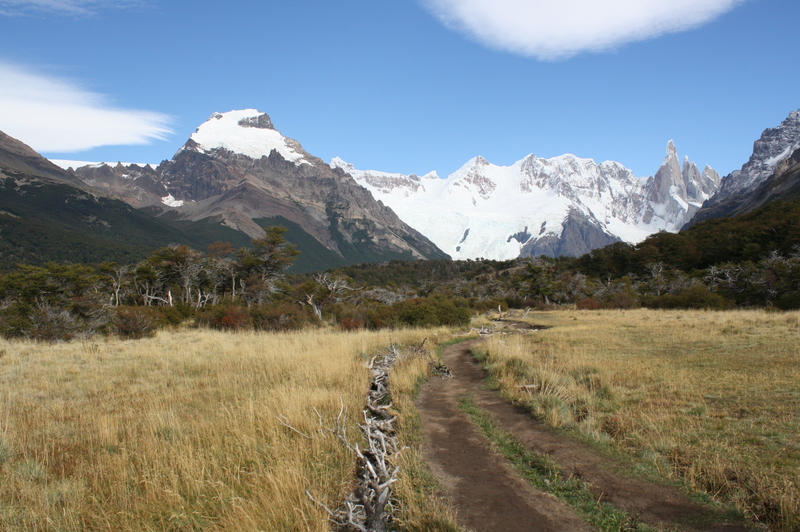 I experienced that and more the day we hiked the Laguna de los Tres route in Chaltén. With our Backroads group we started the hike around 9 a.m. Four of us finished the hike around 9 p.m., completing a 12-hour hiking day, encompassing 13.4 miles while summiting a 4,000 foot peak. The day, exhilarating, overwhelming, and exhausting, was one of the best hiking days I’ve ever had. Like almost all of the days on our trip, every element of the weather came together to be the perfect formula for a hike. The sky was clear; there was no wind; and the air wasn’t too warm or too cold (temperature in mid-50s to mid-60s). But don’t be fooled by this too-good-to-be-true weather report. Travel Tip: With Patagonia weather, you never know what you’re going to get. Be prepared (both mentally and gear-wise) for high winds, frequent and unpredictable showers (rain or snow), and intense sunshine at any time of the year. We hiked through forests, fields, mountains, and stopped along rivers and lakes. One minute we were enclosed by tree branches with only glimpses of sky and peaks. The next we were walking into a wide open field, sky stretching all around us, with low, scrubby bushes at our feet. The next we stood on top of a mountain with snow-capped peaks staring back at us. With each step, we experienced such vivid contrasts. Laguna de los Tres, the lagoon of the three, is known as the best viewing spot for the Fitz Roy mountain range. De Los Tres refers to the three highest peaks you can see from the lake’s shore: Fitz Roy (11,073 ft), Poincenot (9,849 ft), and Saint-Exupéry (8,392 ft). The peak above the man in the gray is Saint-Exupéry and then to the right there’s Rafael, Poincenot and Fitz Roy. 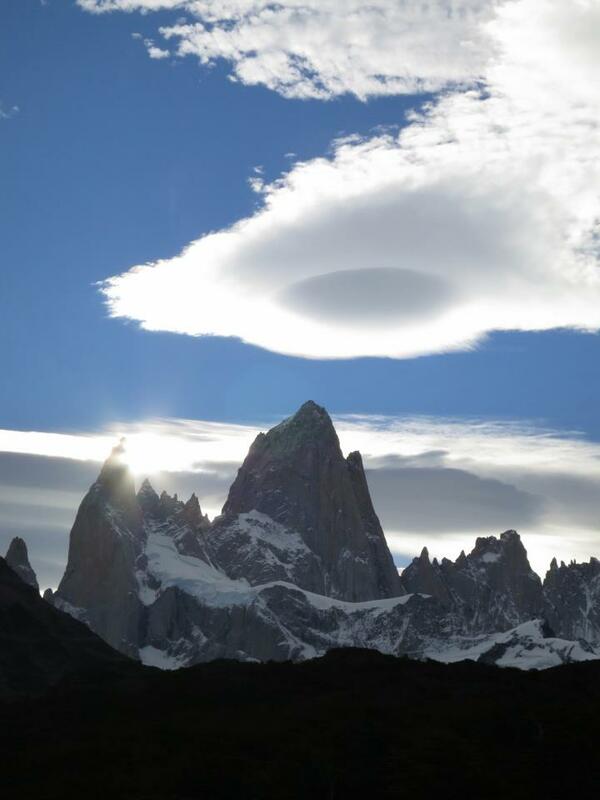 Fitz Roy is the highest spire in Argentine Patagonia. Even though it’s less than half the size of the world’s greatest peaks, it’s one of the hardest peaks to climb. The difficulty is part challenge and part unpredictable weather conditions. 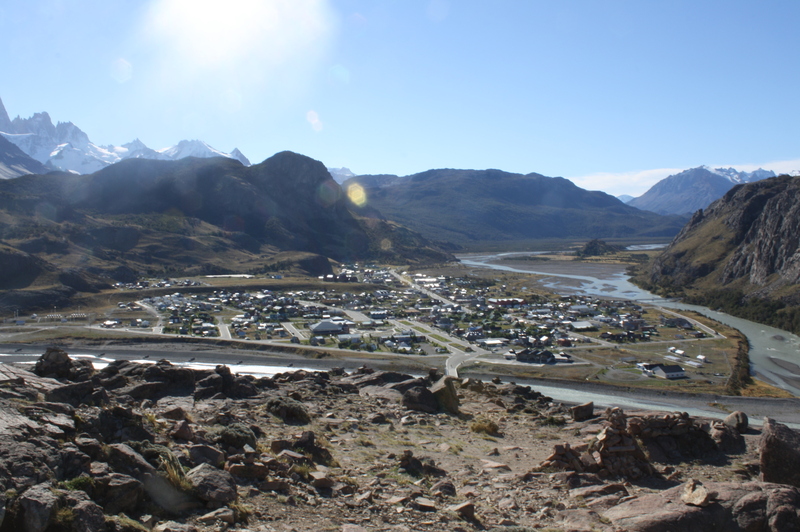 The area has also been pretty inaccesible until the more recent developments of Chaltén. Hundreds of people may reach the summit of Mount Everest in a day, but Monte Fitz Roy may only be successfully ascended once a year. Saint-Exupéry is named in memory of Antoine de Saint Exupéry, a French aviator who delivered mail to Patagonia by plane in the early 1930s. He’s also the writer of the best-seller, “Le Petit Prince” (The Little Prince). He disappeared while flying over the northern part of Corsica. His death remains a mystery. Poincenot is named after Jacques Poincenot, a member of the French expedition set to conquer Fitz Roy in 1952. While attempting to cross the Fitz Roy river, Jacques fell in and died. His team carried on and named the peak in his memory. After about 5 miles of hiking through the forest and fields, we decided to power on for the climb to Laugna de los Tres. Up until this point the views had already been incredible. But it was about to get even better. Laguna de los Tres: Our ‘wow’ viewpoint from the top. I think we arrived. Once we reached the top we stopped to eat lunch. I wanted to stay there forever. Not only were the highest peaks in front of us, but behind us more mountains rolled on, fields spread, and the river snaked into the horizon. We were on top of the world. There’s nothing more rewarding than a view like that after a long hike and a steep climb. As soon as we finished eating lunch, an avalanche erupted into the water. It was such a powerful booming noise. We just happened to be at the right place at the right time to hear it. When we started to walk down one of the peaks, a cloud shaped like a halo formed over the peak in front of us. Once again we were in the right place at the right time. If you take the time and effort, the Earth will reveal its magnificence to you. You will be rewarded in ways you can’t even imagine. To know that this will always be here- this all knowingness that the forest already holds, that the mountains already whisper, shakes me to the core in the best possible way. I’ve always felt another kind of spiritual presence in the woods and I could never really relate to that feeling with mountains, but on this day I did. Even just staring at them in the distance. Being surrounded by nothing else. The rest of the Backroads group hiked ahead and David stayed with my Aunt, Susan and I. For the hike back, David was our personal tour guide. He stopped us every five minutes to teach us about our surroundings—why the clouds were shaped like they were, how the rocks formed, what happened to the trees, etc, etc. It was such an incredible way to experience hiking in Patagonia. David was so generous with his time, so extremely knowledgeable and helpful. He’s also an excellent photographer. You can view his pictures here. We hiked at our own pace, taking our time to really absorb everything. Aside from taking pictures of every single thing I saw, I wanted to fully absorb my surroundings. I wanted to really look at things: pebble-sized rocks, skinny trees, huge mountains. I wanted to understand my surroundings as best as I could. I like to take my time, especially when I hike. To observe is to truly be in the moment. Even the rocks in Patagonia are happy. It’s hard not to look back when things are this beautiful. On our final descent, the sun started to set over Chalten. This picture does no justice. There’s a lot of useful information online about this hike if you’d like to take the same route. From Chaltén shuttle 20 minutes to Hosteria El Pilar, a hotel 17 kilometers (10 miles) from town. Take the trail to the right of the Hosteria, keeping the river on the right. Continue straight; follow sign for Rio Blanco. After about 5 km you’ll reach a T-intersection. Turn right to pass through Campamento Poincenet. Turn left to go back to Chaltén. If continuing on, follow signs for Laguna de los Tres and Campamento Rio Blanco. After climbing down the mountain, pass through a flat section of wetlands and wooden boardwalks. Turn LEFT at T-intersection toward El Chaltén and Laguna Capri. At next intersection veer RIGHT uphill and turn RIGHT toward Laguna Capri. Continue straight through Campamento Capri and follow signs for Chaltén. And of course after the hike, don’t forget to stop in at La Cerveceria, a local microbrewery. A very rewarding stop after a full day of hiking. I just came across this quote online about the build up of El Chalten. You know how certain places give off a certain feeling and in return evoke a certain feeling within you? El Chaltén is one of those places. It’s a town that completely captures you. It’s a certain kind of paradise. El Chaltén is a small village set within a valley at the base of the Cerro Fitz Roy and Cerro Torre mountain ranges, the two most iconic mountain ranges in Argentina. 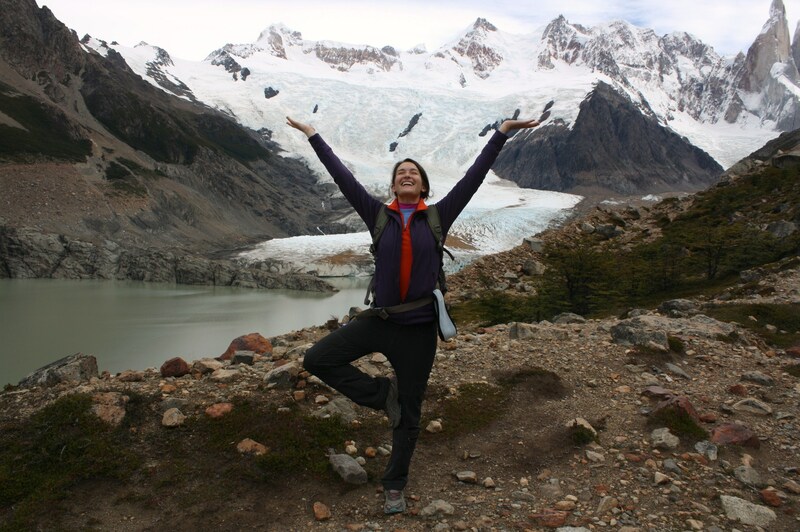 Known as the unofficial national trekking capital of Argentina, the town is a part of the Parque Nacional Los Glaciares. El Chaltén formally became a town in 1985 when a territorial dispute between Argentina and Chile intensified. To fully claim the land the clever Argentines built houses and started living there. When it was time to make a decision, Argentina got the land because they already occupied it. 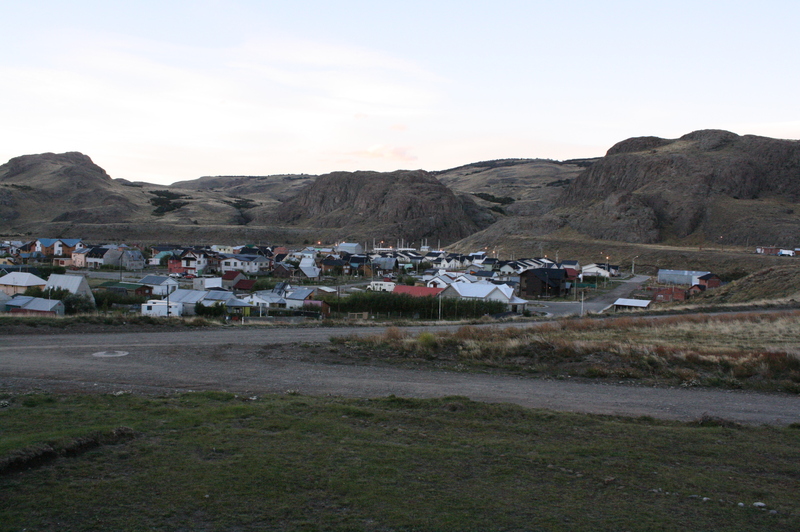 Before Chaltén was an official town, early pioneers inhabited the area. Andreas Madsen, one of the most well known pioneers in Chaltén, came to Argentina from Denmark in the early 1900s. When we hiked in Chaltén we saw his house in the distance and our guide told us the story. Andreas Madsen worked as a cook on an expedition with the famous Argentine explorer, Perito Moreno. So enamored by the natural landscape he built a farm, Estancia Fitz Roy, and settled there with his house facing the mountain. He returned to Denmark to find the love of his life, found her, married her and brought her back to Patagonia. They raised their four children (one named Fitz Roy) on the farm. They were truly out in the middle of nowhere, living off the land and surviving through Patagonia’s harshest conditions. “Patagonia!” he cried. “She is a hard mistress. She casts her spell. I found this picture of the Madsen house online. Andreas wrote two books: “Patagonia Vieja (Old Patagonia)” and “Cazando Pumas (Hunting Pumas)” which I’d love to read, but I can’t seem to find much information about online. I absolutely loved everything about El Chaltén. 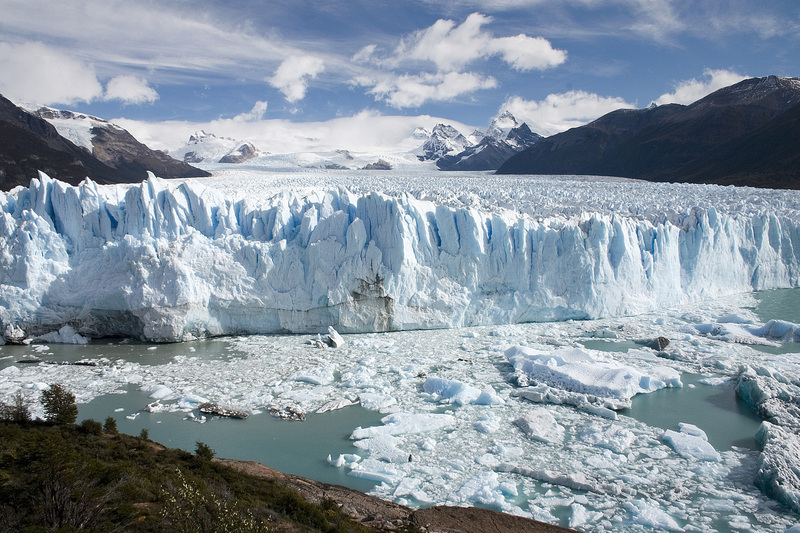 Similar to saying just Calafate, you can refer to it as Chaltén. The name is prononuced exactly as it looks. Chal and then ten. Chaltén felt much more real to me than Calafate. There was no center of town or shops overdone with souvenirs. There were no supermercados, just a few grocery markets. Most of the people there were there to climb, hike or explore the outdoors. Chaltén felt the way Patagonia should feel. You know when you meet someone that listens so intently and truly cares about what you have to say, someone that isn’t afraid to express their feelings, someone that touches your life just by being present, someone that is so refreshing to meet, someone that is completely real. Chaltén is that person. Chaltén is genuine, down to earth, simple and peaceful. When it’s located in such a beautiful part of the world and inside a national park, it’s hard for a place not to posses those characteristics. There’s something about mountains that bring serenity to a place, to people who live there. Chaltén rests comfortably at the mountains’ feet, like a child being watched over by a grandfather. The mountains exude their wisdom and patience down to Chaltén. Can you imagine being invigorated with this every single day? Pondering the possibilities of the day by gazing out our hotel room’s window. Chaltén is one of those places that still belongs completely to the Earth. Some streets are paved; some streets are just mud and gravel. I can’t find a reliable source online, but it seems that the town’s permanent population is generally around 1,000 people, maybe less. With a lot of the houses it was hard to tell what stage the construction was in. I couldn’t tell whether they were abandon or being fixed up. There isn’t an efficient home telephone network or cell phone service; internet connection is slow and expensive. There are no banks or money exchange places. I think there’s one ATM. No mayor, churches, newspapers. Because these general distractions from life are eliminated in Chaltén, you feel even more plugged in with the natural environment. You feel incredibly connected to nature. Tips: There is no fee to go hiking or climbing in the park. If you plan on climbing you just need to register with the park service before you go. The name Chaltén derives from the native Tehuelche’s word which means “smoking mountain.” The Tehuelches called the Fitz Roy mountain, “Chaltén” because there was always a cloud of smoke around its peak. They thought it could even be a volcano. Perito Moreno renamed the mountain Fitz Roy in honor of Robert Fitz Roy, the captain of the Beagle, Darwin’s ship. But the name for the town stuck. Chaltén is about a three hour bus ride from Calafate. Before the airport was built in Calafate in 2000 the only way to Chaltén was a ten hour bus ride from Rio Gallegos. 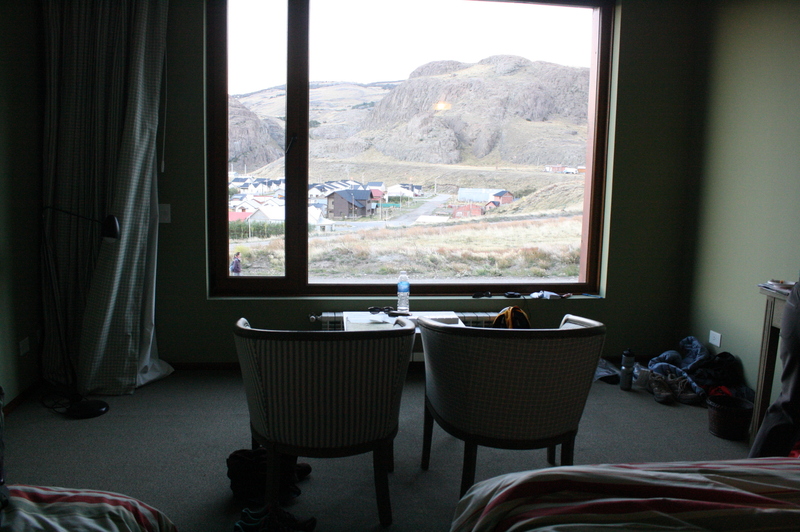 We spent three nights in Chaltén at the hotel Los Cerros. We spent two and a half days hiking in the national park. Those days were some of the most incredible days of my whole life. Stay tuned for another post that includes jaw-dropping pictures of the days spent hiking in Chaltén. I left piece of my heart in Chaltén and will definitely make my way back someday. Before our hiking trip started, my Aunt and I spent the day exploring El Calafate (pronounced cal-a-fa-tay). El Calafate is a town nestled on the southern part of Lago Argentino, the third largest lake in South America and largest in Patagonia. Tourism sprouted in the 1930s when mountain climbers from Europe began traveling to Patagonia. Before tourism, sheep farming was the main source of income. 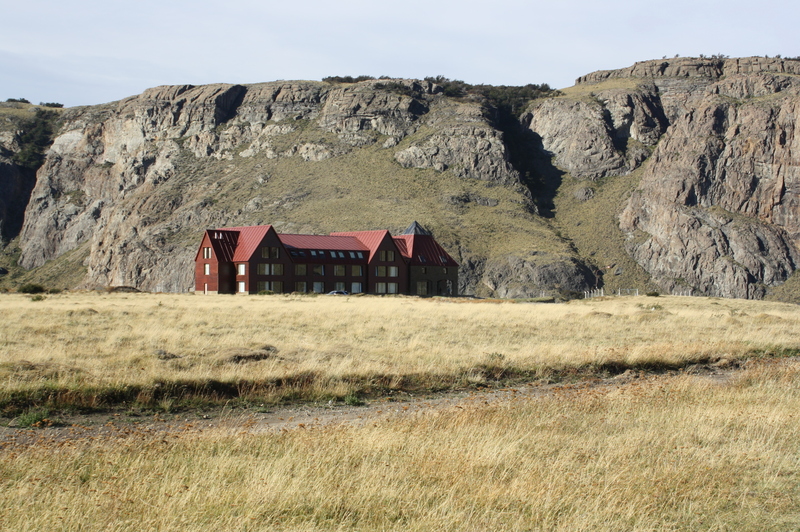 Before sheep farming, people tried to colonize Calafate but to no avail. Charles Darwin went to Calafate in 1834 on his famous voyage of the Beagle. While sheep farming does still exist in El Calafate, if you take one trip there you’ll see that tourism has taken over. The population is roughly 15,000 in the summer (December to March-ish) and 6,000 in the winter. Tip: When talking about El Calafate, you can shorten it to just Calafate. The name calafate is derived from a bush with yellow flowers and berries. The calafate berry is similar in size, shape and color to a blueberry. Just a tad bit smaller. There’s also a legend behind the berry. Note the thorns. Because of the thorns the berry is harder to pick and therefore more expensive. There are different versions of the legend, but this one is more or less the most common one. Years and years ago when the Tehuelche tribe trekked north for winter, an older woman, Koonex, was too fragile to make the trip. She stayed in her tent and was left alone to die. She asked the birds to stay with her but there was nothing for them to eat in the winter so Koonex turned herself into a calafate bush – thick with berries for their food and with sharp thorns to protect them from animals. In Spring, when the tribe returned, they were greeted by beautiful bushes with golden flowers. The flowers eventually turned into berries. The Tehuelche loved the berries so much that each year they returned to where the berries grew. Now people say that if you eat calafate berries you will return to Patagonia. There were lots of cute homes in El Calafate. Avenida del Libertador: the main street in El Calafate. Filled with eateries, souviner shops and boutiques. Even though the downtown area (the Avenida Libertador) was easily accessible and filled with shops, Calafate felt too touristy to me. Most of the shops had the same exact souvenirs: mate gourds, leather belts, cowboy hats, wool blankets, calafate jam. Everything seemed like it was made for tourists. Things they thought we’d want to buy. Although I did get some knickknacks, I wanted to buy something that the locals bought. A real souviner to me is something that locals would also buy and use. If you’re looking for something like that then definitely check out the Paseo De Artesanos area on the main street next to the casino. Local artists open booths to sell their work. I bought a hair wrap and hand painted book mark here. My friend bought a mask made from a lenga tree. The only tricky thing is that there isn’t a set of hours they’re open. The booths are open whenever the artist feels like being there. Although they did seem to be open Friday and Saturday nights around 8. Calafate is one of those towns you go to on your way to somewhere else. It’s a hub for people traveling to different parts of the Parque Nacional Los Glaciares, especially the Perito Moreno Glacier. You fly in to Calafate, spend a night in town and then figure out where you’ll go next. We met up with everyone on the Backroads trip. Before I dive into our day and the details of El Chalten, I’ll explain Backroads. Backroads is an active travel company that specializes in cycling, hiking, and multisport trips all over the world. They set up our hiking itinerary, lodging, transportation (minus the flight) and meals. We had two Backroads guides the whole trip and we had local guides throughout the trip. Backroads goes above and beyond just planning a simple hiking trip. Along with hiking, the Backroads trip included an empanada cooking lesson, an Argentine wine tasting, a mate ceremony, a cordero assado and more. Backroads wants to make sure you really get to experience the full culture of a place. I can’t say enough good things about Backroads. Our hiking itinerary was incredible. The hiking trip was eight days, and we hiked around 80 miles total. Every single day was more and more thrilling. Our guides were extremely knowledgeable about Patagonia; we had a history lesson multiple times a day. Not only were they knowledgeable but they were amazing individuals who were constantly making our group smile and feel comfortable. I’d definitely go on a Backroads trip again and recommend the company to anyone. Check out their website here. View our itinerary here. The whole trip was very special. There were about 18 of us plus our two guides. The trip was composed of mostly couples in their 30s to 60s. I enjoyed spending time with everyone on the trip and by the end, I felt like everyone adopted me as their niece. On that first day we drove down the infamous, Route 40. With its romance and ruggedness this route is similar to America’s Route 66 or Route 60. It’s the sole road that goes from Northern Argentina to Southern Argentina. Che Guevara traveled Route 40 by motorcycle; Butch Cassidy and the Sundance Kid used it as an escape route. It was a beautiful, clear day and we were able to see Cerro Fitz Roy in the distance. Out the window low, scrubby bushes and desert-like land stretched for miles. The mountains loomed in front of us. 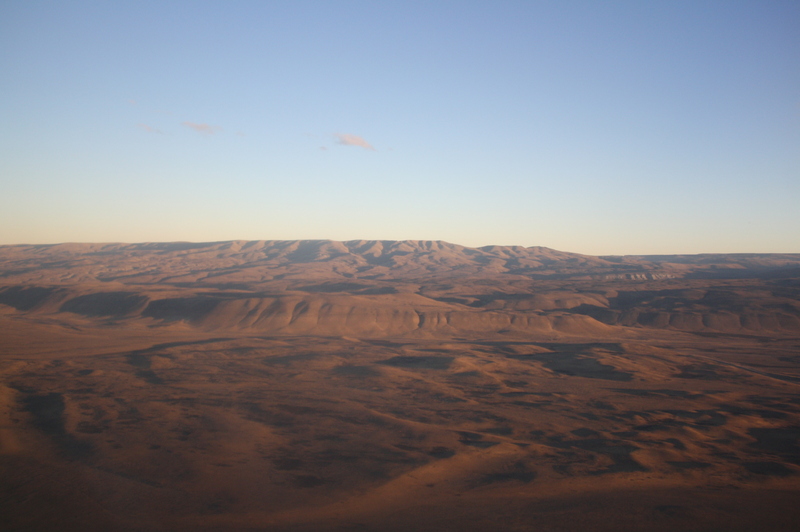 We were barely ten miles out of Calafate and it seemed like we were once again in the middle of nowhere. Just as our guides were talking about guanacos and how we’d be lucky to see one, one sprinted out! They’re native to South America and similar to camels. We ate a picnic lunch at La Estella, this cute lodge overlooking Lago Viedma and then we went for a quick 2 mile hike through the sand dunes to stretch our legs. Then we continued to El Chalten, paradise on Earth. Read all about Chalten in the next entry. Getting to El Calafate from New Jersey took a full 24 hours. We had an overnight flight (about 11 hours) from NY JFK to Buenos Aires Ezeiza International Airport (EZE). Then we took an hour and a half bus ride (we took the Manuel Tienda Leon bus) to another airport in Buenos Aires (the city is commonly referred to as ‘BA’) Aeroparque Jorge Newbery. Using the airline Aerolineas Argentinas we flew 2 and a half hours to El Calafate. From there we shuttled about 30 minutes to our hotel. Along with waiting times and drives, we spent a full day traveling. The line on the map shows a general idea of our journey. 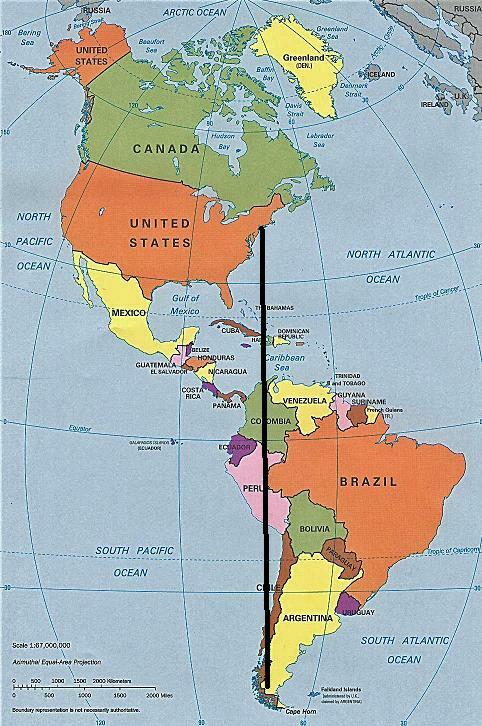 But instead of flying through Chile we flew to Buenos Areas, which is on the east coast of Argentina, close to Uruguay. Our flight to El Calafate was going all the way to Ushuaia, the southernmost city in the whole world. That’s when the geographical impact of the trip hit me. I was on my way to Patagonia, the very edge of the world. While we’re on the topic of location, let’s pause for a minute to clear some things up. Every time I told someone I was going to Patagonia I’d usually get “Huh? Ohhhhhh, okay. Yea, cool” as a response. You could see in the person’s face that they kind of knew what I was talking about but really, they didn’t have any idea. While I was at Sports Authority trying on snow boots an employee even said to me, “Can’t you just go to Vegas for Spring Break?” But I’ll have to admit, when I first found out about the trip I wasn’t exactly sure what it meant either. Sure, I knew about the mythical reputation, jagged peaks and wide open spaces, but I didn’t fully understand the depth of the place. This confusion boils down to two main questions: What exactly is Patagonia? Where exactly is Patagonia? Roughly occupying a combined surface area of Texas and California, Patagonia is not precisely marked by borders. The name generally refers to the area of land hugging southern Argentina and southern Chile. Patagonia takes up 1/3 of Argentina but only 5% of the population (around 2 million) lives there. Different stories circulate about its name, but legend has it that when explorer Ferdinand Magellan passed through Patagonia in the 1500s he saw giants. Patagon means large foot in Portuguese, and so the name Patagonia was born. Patagonia is a land known for its remoteness, for its unparalleled beauty, for its loneliness, for its possibility, for its appeal to the wanderer, the drifter, the adventurer. Untouched land, wild, free. Because we’re United States citizens we had to pay a reciprocity fee of $150 U.S. dollars once we got to EZE. In 2009 the Argentine Government set an entrance fee for US citizens, Canadians and Australians. The fee is the same amount Argentine citizens must pay when requesting a Visa to travel to these countries. This fee lets US citizens travel to and from Argentina for ten years. We paid the fee, went to another line for questioning, got our passports stamped, got our luggage and put our luggage through security. Then we entered the airport at the American Airlines terminal. If you’re unsure of how you’ll get to your next destination, don’t worry at all. Right away there are information booths for taxis and the Manuel Tienda Leon bus. Don’t rely on the first money exchange company you see. The company, Global Exchange or something like that, offered 3.7 pesos for $1. I walked by them, turned the corner and saw Banco De La Nacion Argentina which offered around 4.3 pesos for $1. Most of the signs list the word in English right after the Spanish word so even if you don’t speak Spanish, it’s easy enough to get by. Over this past Holiday season I was still a few months out of college, freshly back from a road trip and overseas trip, not ready to dive into a full-time job and pretty much just open-minded to where life took me. At my Mom’s annual Holiday party I gathered in the kitchen just as my Aunt Kate was talking to someone about her next hiking trip. She was upset because she could only go a certain time of year, but her traveling companion (her son) wasn’t able to attend at the same time. Somewhere in those couple minutes of conversation our eyes met and she asked, “Do you want to come with me?” I heard the words Patagonia, South America, hiking. Without hesitation, I said yes. At that moment I didn’t know much about Patagonia, but I had heard it was wild, open land. Beautiful natural space. That combined with hiking was more than enough for me. Over Thanksgiving I went with my Aunt Kate to England so I knew I had a great travel companion. My Aunt Kate always said to me something along the lines of, “I believe that if people are genuinely good then good things will come to them naturally.” Add in a dash of being at the right place at the right time and voila, my Patagonia trip was born. Early this morning I arrived at JFK New York Airport from Buenos Aires, Argentina. It seems surreal to believe that just yesterday I was walking down the streets of El Calafate and the day before that I was horseback riding in a wide open field surrounded by mountains and glaciers. While in Argentina I hiked in Patagonia for eight consecutive days. It was an absolutely incredible experience. A complete renewal of the spirit. Inspiring. Breathtaking. Transformative. I would go back there in a heartbeat and since I ate calafate berries, legend has it that I will return. Within the next couple of days I hope to blog about the whole experience and share tons of photos. I literally took over a thousand photos and have edited them down to around 900. I still have lots of editing to do! Stay tuned for details about my journey to the edge of the world.